“Those already declared to be beneficiaries must be placed in their position,” the President said. “Those who have worked hard for the land must deserve it,” he said. “If they say they have invested so much, I don’t care. The law must be followed,” he said. “The law says the land reform should benefit the agricultural tenant. That’s the law and there’s nothing I can do about it." 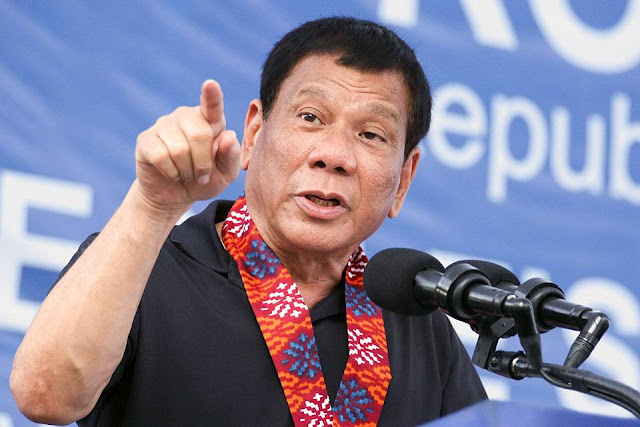 He cited what happened in Boracay where after ordering for the island’s cleanup, the government gave out parcels of land to the Aetas, the indigenous people living in the area. In that same speech, he also ordered Agriculture Secretary Emmanuel Piñol to find out the needs of the farmers and address their concerns. “Don’t believe this investigative journalism, it’s all about the money,” he said, adding there are some journalists who engage in "ACDC" (attack collect/defend collect), where they earn money for attacking and defending personalities, especially politicians.